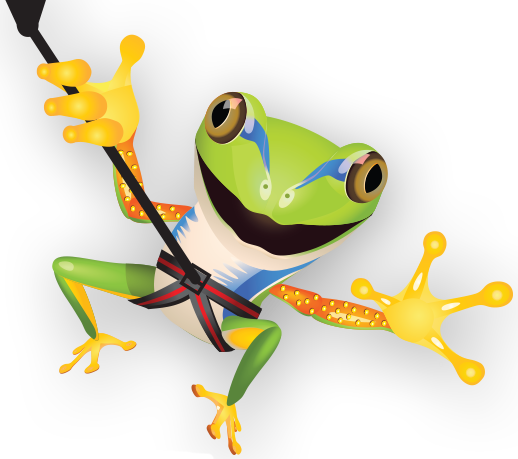 ZipQuest is offering customers the opportunity to experience their incredible waterfall ziplining adventure at a discount throughout the month of February. Now is the perfect time to take advantage of the beautiful scenery of Carver Falls with a significant other, friends or family. During the month of February, we invite you to enjoy our Waterfall Expedition and Swing Shot adventure for just $69 when you book a reservation for two or more people. This offer is open to everyone ages 8 to 91, but it is a limited time offer and space is sure to fill up fast. The Waterfall Expedition at ZipQuest Waterfall & Treetop Adventure will take your senses to new levels as you travel by means of eight ziplines over the treetops that concludes with a stunning view of Carver’s Falls. You will enjoy multiple suspension bridges and spiral staircases along your journey. This ziplining adventure will leave you wanting to return again and again. Ziplining is exciting, but if you are looking for a bigger adrenaline rush, also included in our February special is the Swing Shot at ZipQuest. First, we raise you three and a half stories up into the trees. Then we release you towards Carver’s Creek, which lies about five stories below. Talk about a thrill! Your companions are sure to love it! ZipQuest Waterfall & Treetop Adventure is recognized as one of the best things to do in Fayetteville, North Carolina. Among our customers on TripAdvisor and Facebook, we have a five star rating with hundreds and hundreds of reviews. We have been awarded TripAdvisor’s Certificate of Excellence for the past five years. As a matter of fact, we were named one of USA Today’s 10 Great Ziplines. 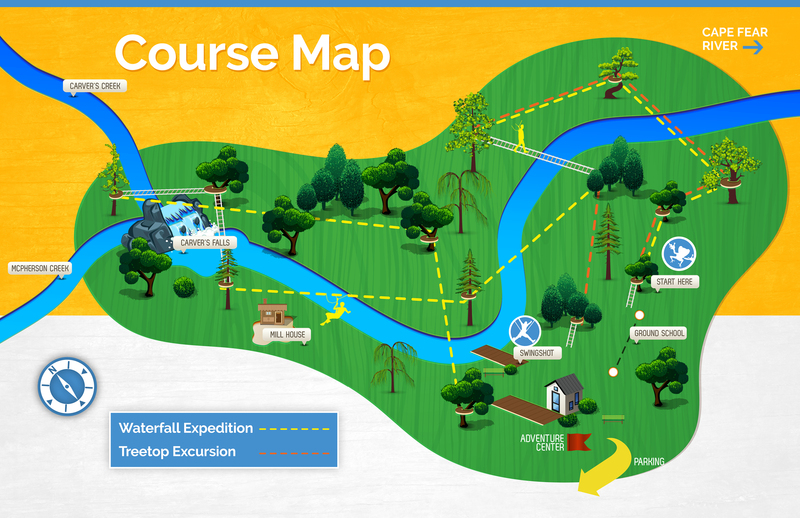 If you are ready for your first ziplining experience, February is the perfect time at ZipQuest. You can reserve your spot by going to our website. We make the process of reservation as easy as possible. Gather your Valentine, your friends, family and even coworkers, and come see us for an adventure you will never forget! Do you have questions? Our website has a handy FAQ section that will likely answer them, but if you can’t find an answer there, give us a call at (910) 488-8787.